The final luxury penthouse at Brookfield Residential Properties' Portside Wharf development has fetched over $2 million, bringing total sales in recent months to more than $10 million. 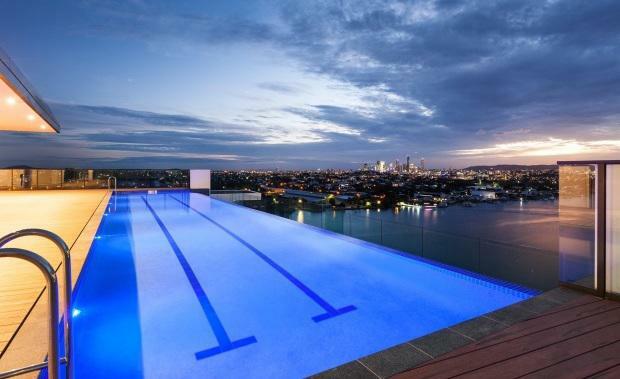 Pinnacle's five penthouses have all now sold, totalling more than $10.7 million, with the luxury residences selling for between $1.7 million and $2.5 million. Other recent sales include two River Terraces worth a combined $1.5 million and eight, two bedroom apartments. Brookfield Residential Properties' General Manger Lee Butterworth said the lure of riverfront living was driving sales at Portside Wharf. "Buyers have been predominately locals wanting to secure a riverside address, but we have seen an increase in buyers from southern states that are looking to take advantage of Brisbane's affordable prices," he said. "This city poses an appealing opportunity as price, location and rental yields combine to offer some of the best living and investment opportunities in Australia. "Portside Wharf has already welcomed a number of interstate first home buyers, owner occupiers and investors and we expect we'll see a lot of interest from this market throughout 2016. "Mr Butterworth said with the penthouses now sold out, buyers at the top end of the market would likely turn their attention to Pinnacle's two remaining River Terraces. "The River Terraces offer a unique living experience for buyers looking for a luxury waterfront lifestyle," he said. "These two-storey homes are designed to maximise connectivity with the river and wharf, while their clever layout and elevated position ensures liveability and privacy. "The outdoor terraces offer up to 76 sqm of al fresco living with uninterrupted views over the Brisbane River. "With dual-level living, huge outdoor spaces and direct access to a dynamic retail precinct, the River Terraces are an easy progression from a stand-alone house. "Sales in Pinnacle have reached $119 million with remaining apartments priced from $650,000 for two bedrooms, two bathrooms and secure car parking. Pinnacle is the sixth residential stage of Portside Wharf after Loft, Infinity, Flare, Promenade and Link.